With the winter months approaching, many in New England including Massachusetts will head to the slopes for a day or weekend ski trip. While this can be a lot of fun, it can also result in serious personal injury or even death. There is no question that skiing has inherent risks, but that should not excuse a ski resort from liability. 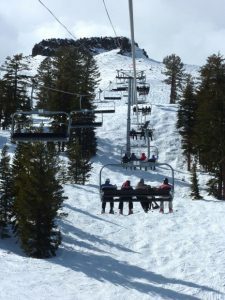 One thing that may limit the chances of recovery in a personal injury lawsuit is the waiver of liability most skiers are presented with when they get a lift ticket. The reason we use the term presented with, is because they do not often require skiers to actually sign anything. Instead, they say when you put the lift ticket on the zipper of your ski parka, you have effectively accepted the terms of the waiver. 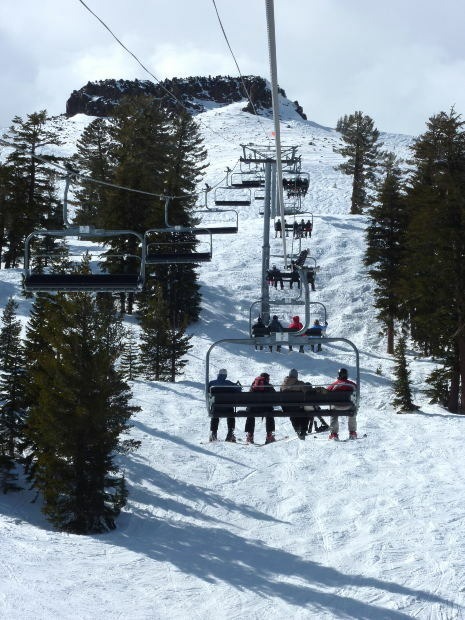 In many cases, the waivers will include a complete waiver of any liability on behalf of the ski area operators. This waiver can be very inclusive, and may even go so far as to include a waiver of liability for intentional conduct on behalf of employees.As our Boston personal injury lawyers can explain, while many courts do not recognize this type of waiver because they are said to be against public policy, they are recognized more often in the Commonwealth of Massachusetts. One important case that helped establish this rule is Lee v. Allied Sports Associates, 349 Mass. 544 , 550 (1965). In Lee, the plaintiff was at an auto race and had a pass to go into the pit area. When the engines are on, this is commonly referred to as a”hot pit” as opposed to cold pit where the engines are not running and it is generally far less dangerous. Before plaintiff could go into the pit area, plaintiff was required to sign a release that waived the liability of track owners for any injury that occurs as a result of being in an active pit area. In any personal injury that settles, plaintiffs will be required to sign what is known as a general liability waiver or general release. This is a waiver signed after the accident has already occurred. In the case of waivers at ski areas and at this race track, it was a pre-accident waiver that is for any future harm that might occur. The plaintiff had argued that he was essentially forced to sign the waiver to enter the pit. The court held that he was not forced in anyway and was an adult of sound mind over the age of 21 who knowingly and willingly signed the release. The court also noted that the release itself said that by signing it, participants are agreeing they are of legal age and have read and agreed to the terms. He signed is name under this acknowledgement. In Lee, plaintiff was injured and sued defendant. The court eventually held on appeal that defendants can generally exempt themselves from liability with the use of a valid release so long as the participant enters into the waiver contract knowingly. There have been several later cases that repeatedly affirmed this 1965 holding and actually expanded upon it. While this may seem like a harsh result, and it often is, there some exceptions to this. One major is exception involves the waiver often required when a person joins a health club or gym. We have a very strong consumer protection law in the Commonwealth codified in Section 93A of the Massachusetts General Laws. This also goes hand in hand with Chapter 93 of the MGL. Our consumer protection law has been expanded far more than other states to include things like gym memberships and some landlord tenant actions. Specifically, in Section 85 of Chapter 93 of the MGL, if a gym attempts to limit all liability, this will be void as a violation of statutory law for reasons of public policy. Another exception that may work in your case, if the facts are appropriate, is that a waiver may not limit the company from gross negligent conduct on behalf of itself or its employees. In a typical negligence action, plaintiff must establish that defendant breach its duty of due care to act as a reasonable and prudent person so as to avoid foreseeable injury to foreseeable persons and property. In many cases, there is clear liability and negligence has been established. However, a plaintiff who entered in a pre-accident liability waiver may not be able to file a personal injury lawsuit based upon the reasons discussed above. If, however, the negligence was gross negligence, this is different story and a valid personal injury claim could be filed. Gross negligence goes above and beyond ordinary negligence and involves a serious disregard for the safety of others. For example, if a worker was driving a snow grooming machine, which is often a huge high-tech tractor, and leaves that machine in the middle of the slopes, and skier runs into it, that would likely be far more than ordinary negligence, and could be considered gross negligence allowing a plaintiff to file a case even though they had entered into a pre-accident waiver that would otherwise be considered valid. As discussed above some waivers include limiting the liability for the intentional conduct of employees that results in the personal injury of plaintiff. There are two types of torts – negligent and intentional. Intentional torts are intentionally harmful conduct like assault and battery. Negligence involves failing to act a reasonable and prudent person and even gross negligence involves acting with a disregard for the safety of others. An intentional tort involves conduct even more than gross negligence so it would be very difficult to convince a court to accept a waiver liability for intentional torts. There may however, be other defenses for an employees intentionally tortious conduct, but they would not involve a pre-accident liability waver.